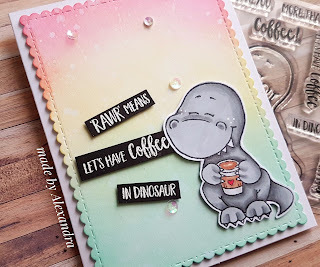 It's Céline from Australe Créations, I’m so happy to find you today for another a card realize with the coffeesaurus stamp set ! I'm Diana from Moments of Creativity and I'm back with another project featuring a very cute Go Wild Clear Stamp Set which turns out to be perfect for creating any adventure scenes with adorable animals and a ranger. it's Justine again and I'm back guest designing for Gerda Steiner Designs. I just love these critters! 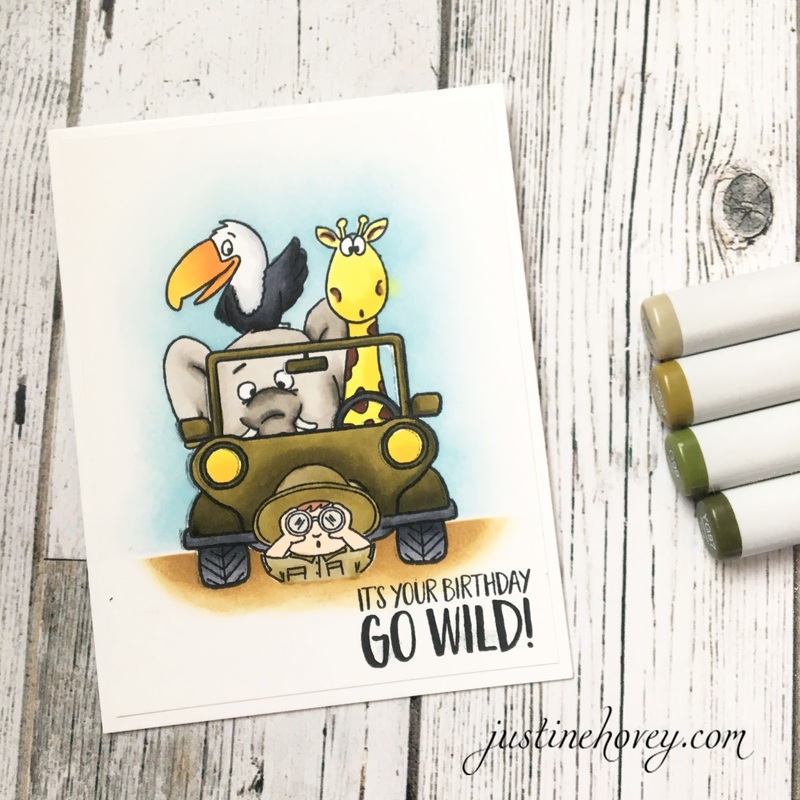 They are too adorable and I had this funny image in my head of the animals car-jacking the safari vehicle and leaving the guide behind so this is what I created with my Copics and the Go Wild Stamp Set. 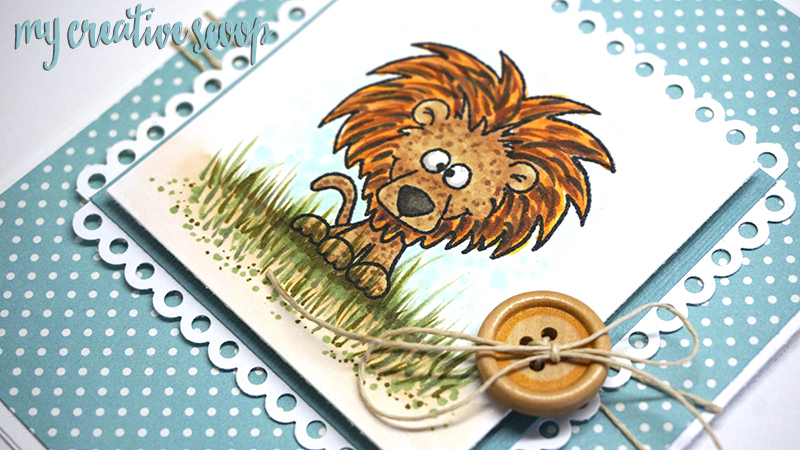 I'm am also giving away a Go Wild Stamp away on my Blog! 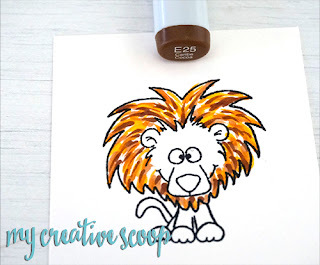 If you would like to know more about the colours I used for this image, check out the video or my Blog! 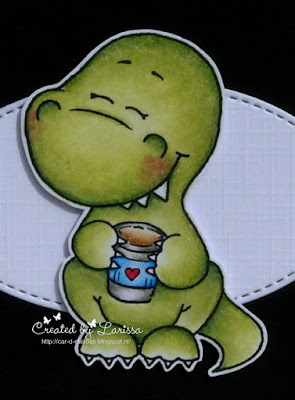 Thank you Gerda Steiner Designs for having me again! 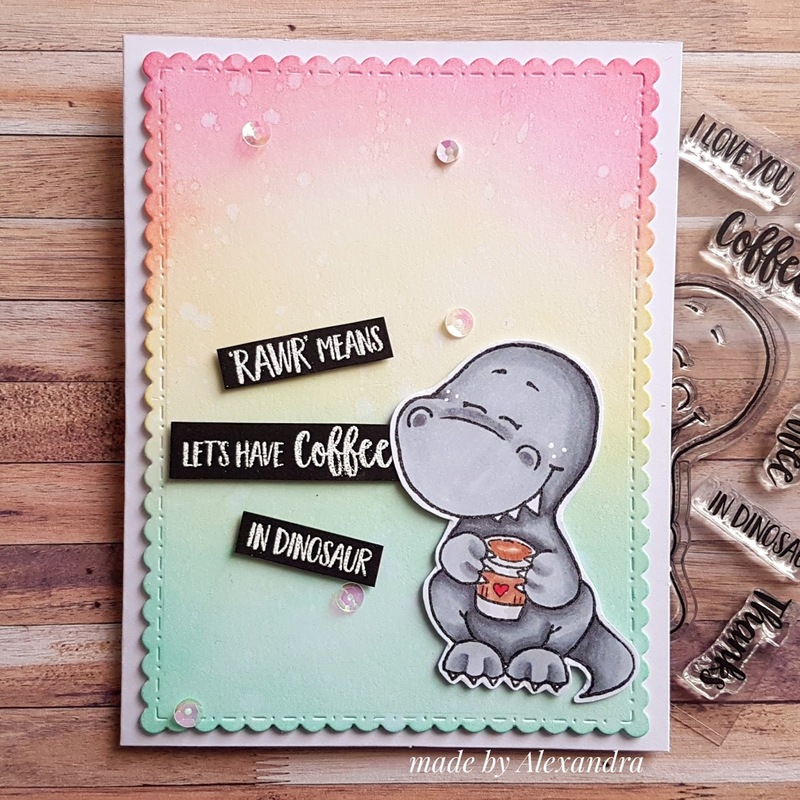 Im Hazel from Didos Designs and Im excited to share with you today 2 creations I have done using the super Go Wild Clear Stamp Set. 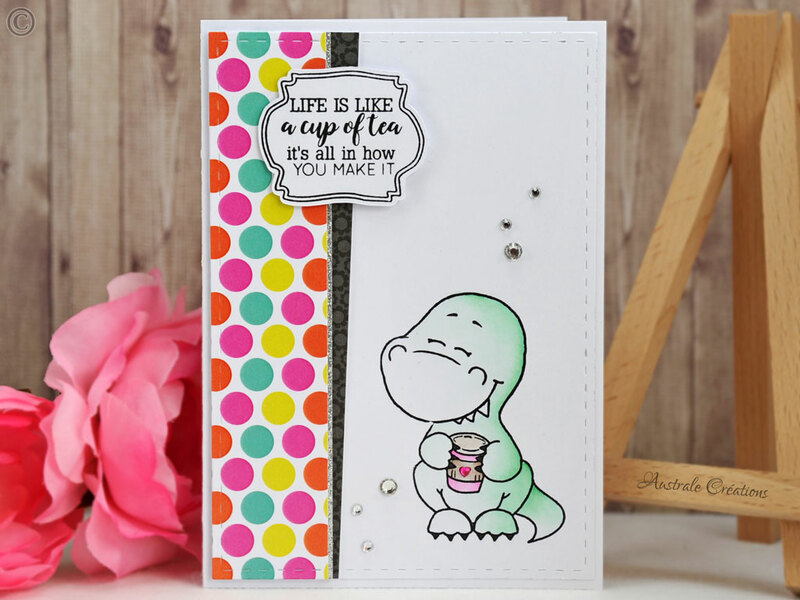 For my top card I have used a die for the circle in the middle and then stamped lots of giraffes. I love using clear stamps as you can see exactly where you are stamping. 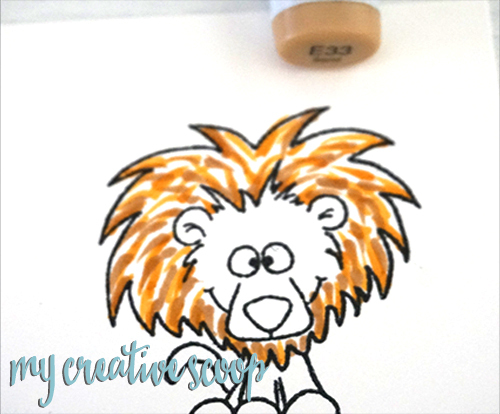 I have coloured the giraffes in using promarkers. 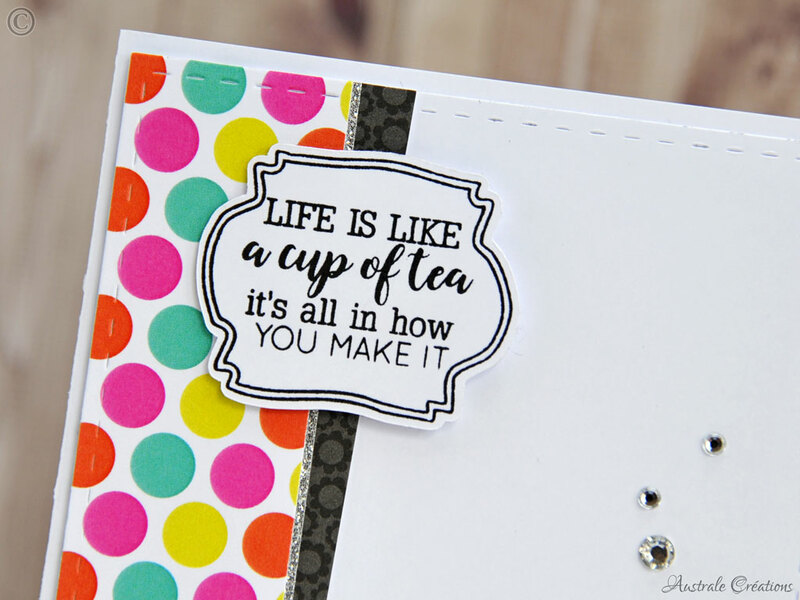 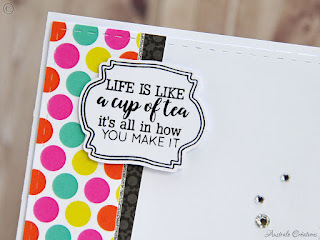 I then added the sentiment from the stamp set in the middle of the circle. For this card I have done some paper piecing. 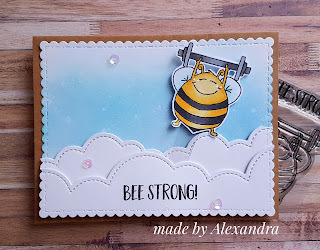 I used some pretty girly paper as felt I wanted a pretty girly card. 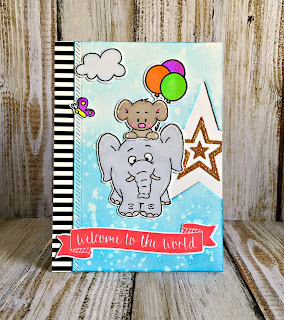 I stamped the elephant on the white card then the 2 papers and cut them out and popped them on the areas I wanted. 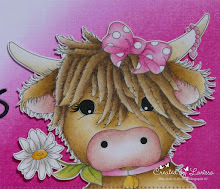 I finished her off with glossy accent eyes. I find you today for a card made with the mini stamp set Bee Strong which also exists in digital stamp here. 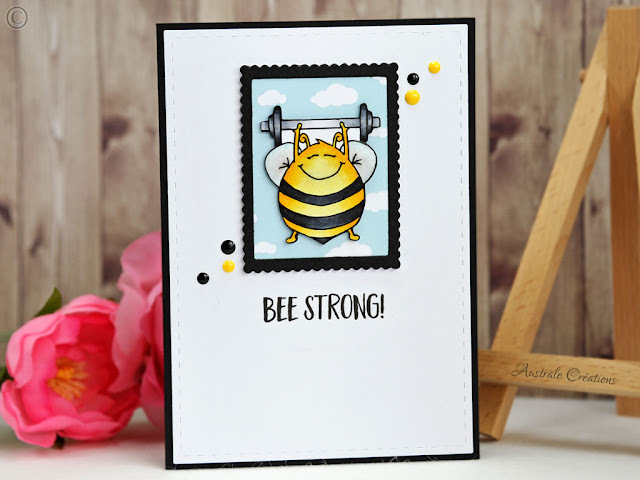 I chose a clean and simple style with a border scalloped like a frame and cloudy background. 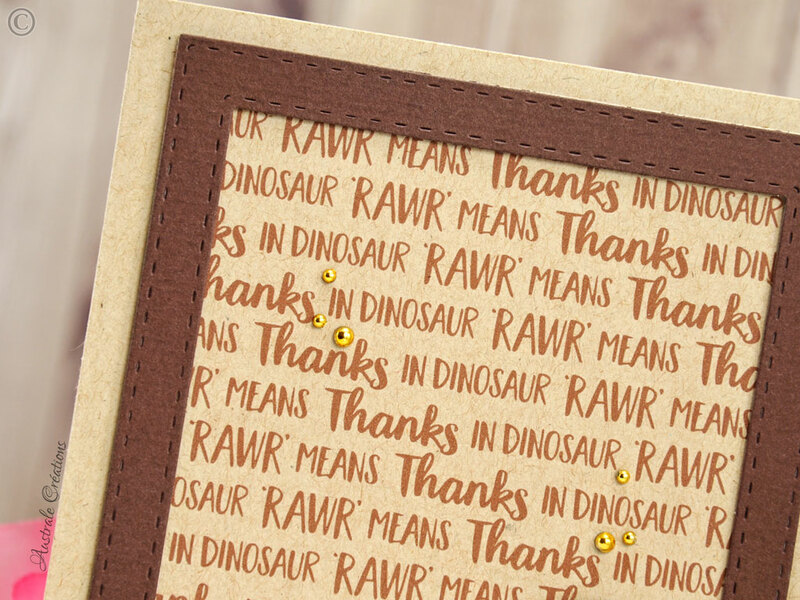 Thank you so much for stopping by, Have a great day ! 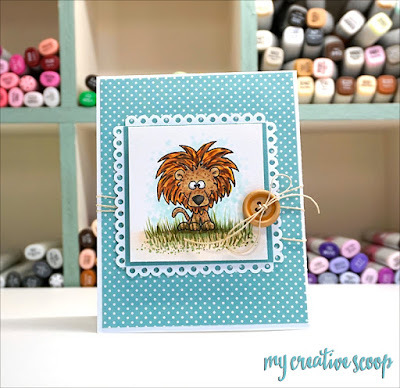 To create this card I went with a multi-layered landscape: hills фе the back, green long trees (I guess for the animals to better hide from people 😃), warm sun and grass. 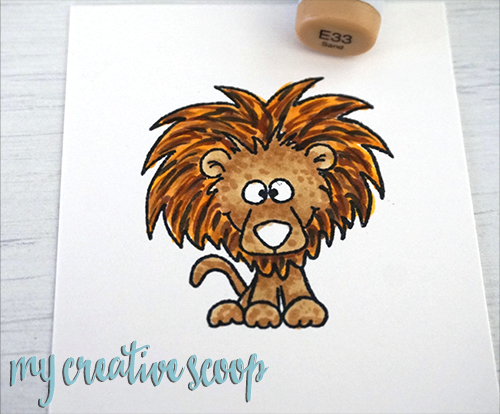 All these elements were made of the white cardstock and colored with Distress Inks and Copic markers. 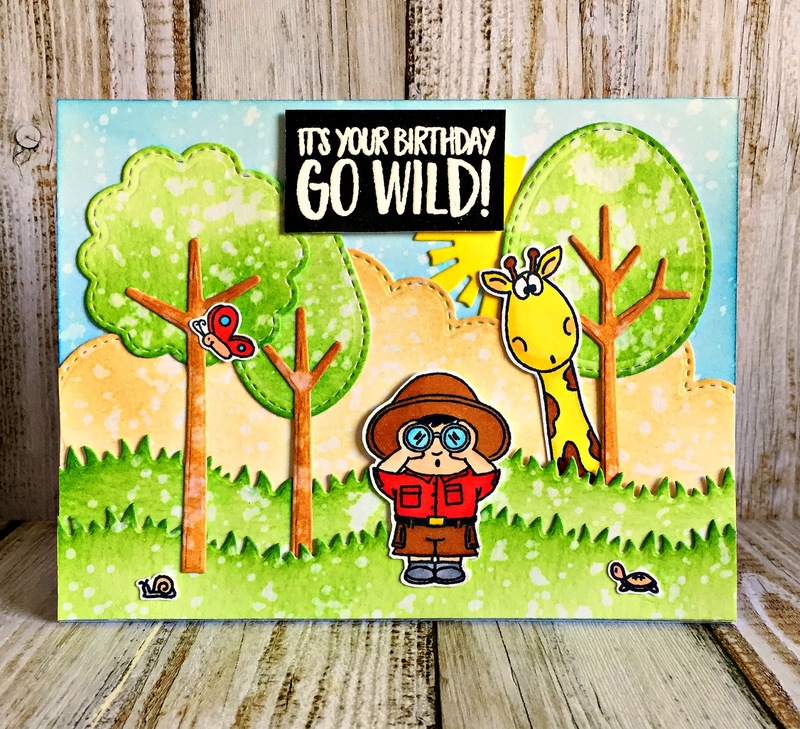 Well, to tell you the truth, this card is just a beginning of our little ranger's acquaintance with the creatures that live at the safari park. 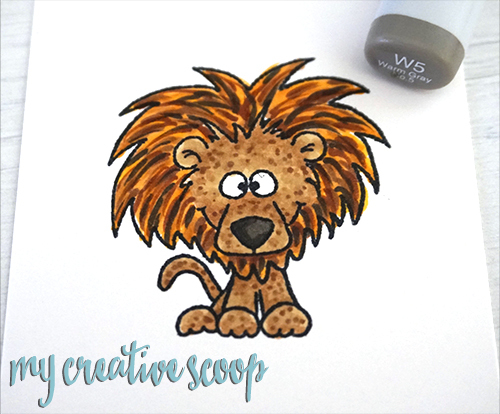 Next time you'll be able to see the story's development 😊 Stay tuned! 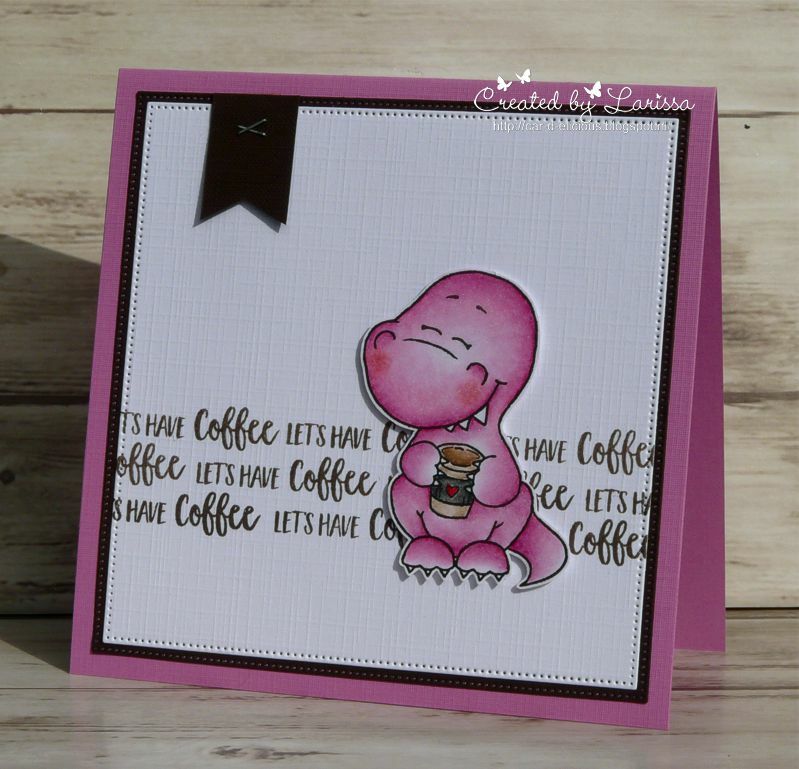 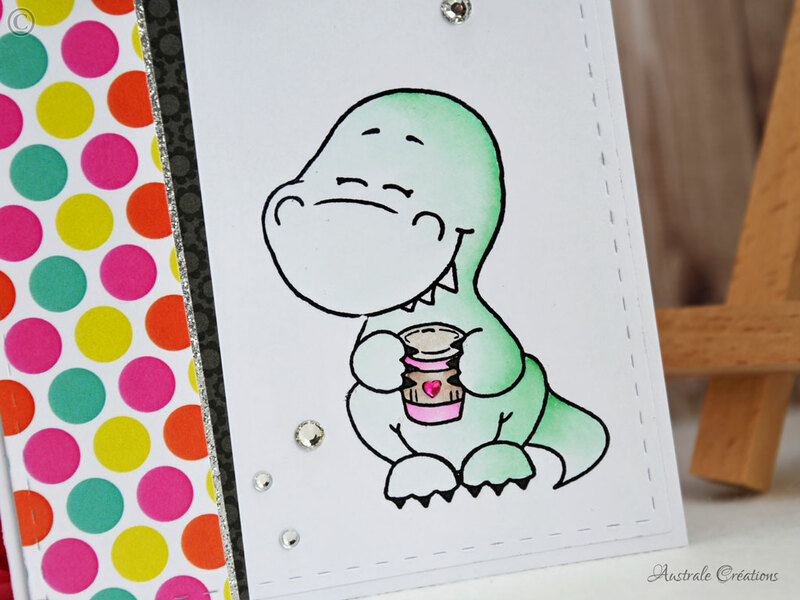 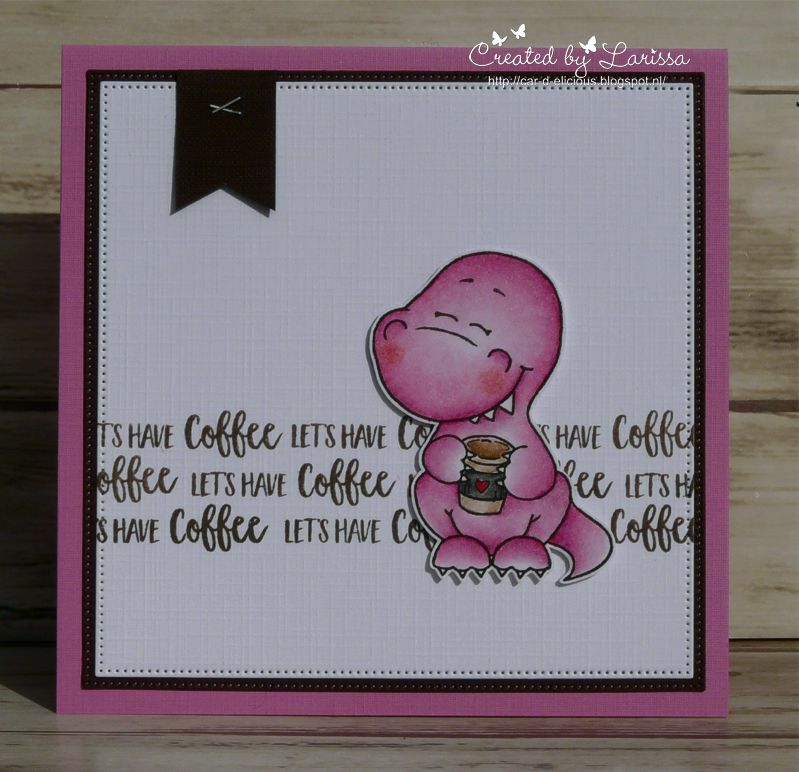 It's Céline from Australe Créations, I’m so happy to find you today for a card realize with the coffeesaurus mini stamp set ! 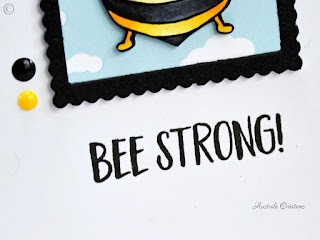 Do you remember the cute bee that was the image for March challenge? Soon you can find it also as a clear stamp! Inked the background using Distress ink and adhered the bee to a piece of acetate, and attached the piece of acetate to the cloud border. 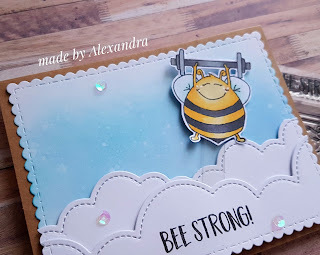 On the other cloud border I stamped the sentiment , adhered everything using foam tape so that the bee can move and added some sequins, and my card was done! Hello! It's Mindy from My Creative Scoop. 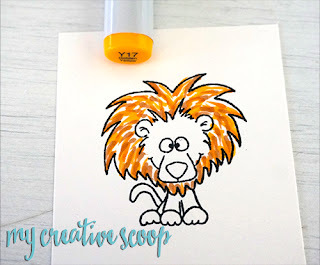 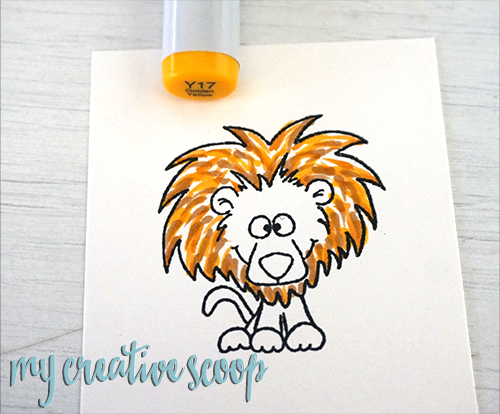 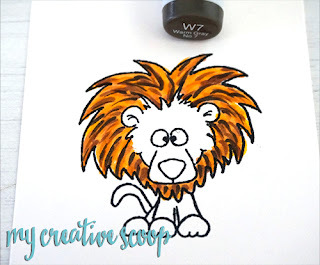 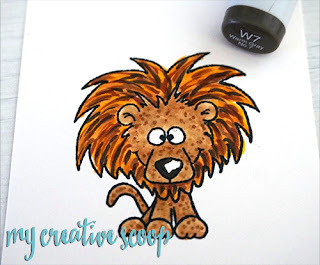 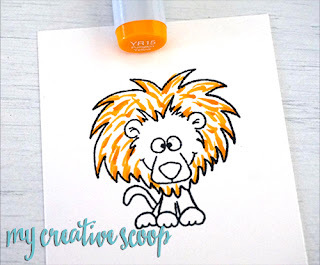 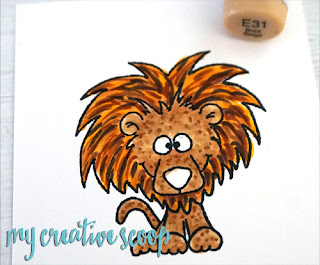 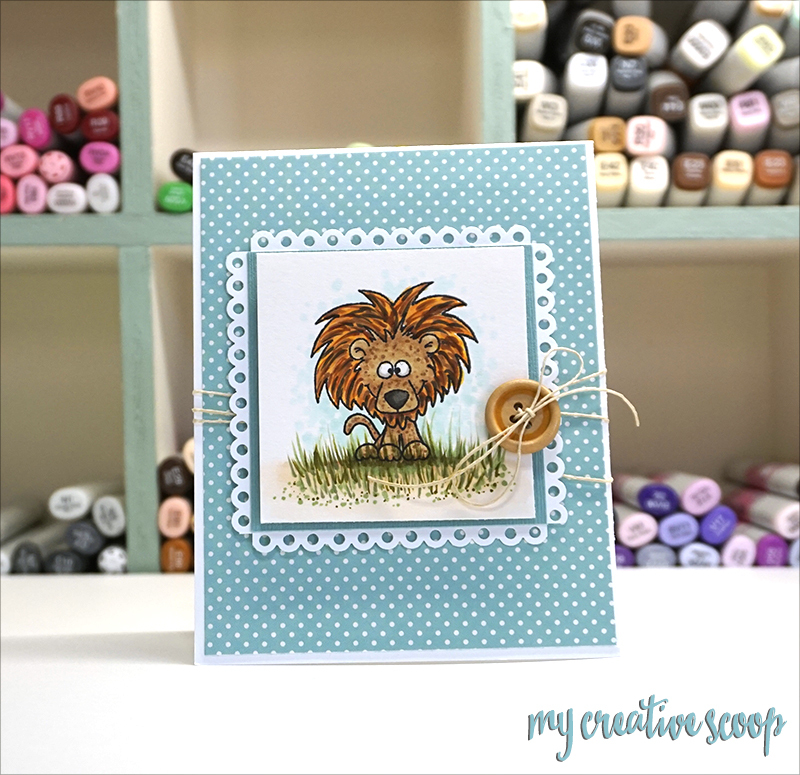 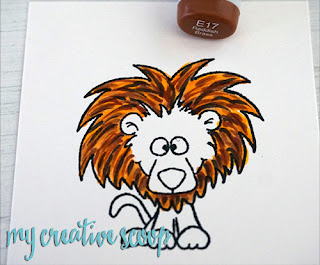 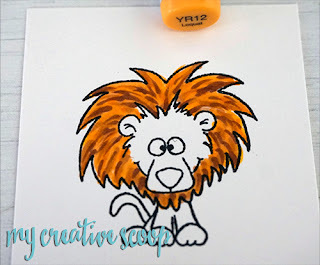 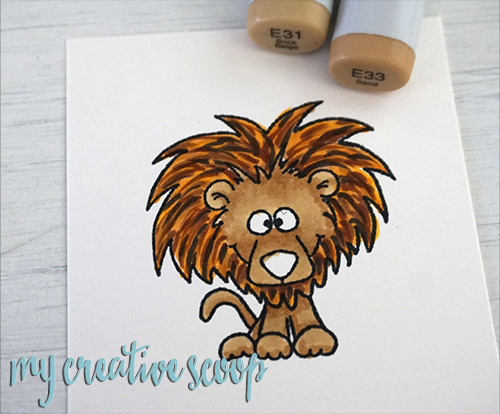 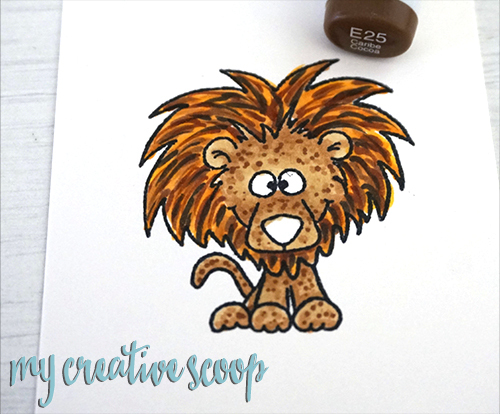 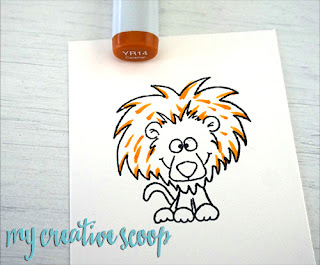 Today I'm sharing another Copic Marker Tutorial with you all using this darling lion stamp from the Party Animals Stamp Set. 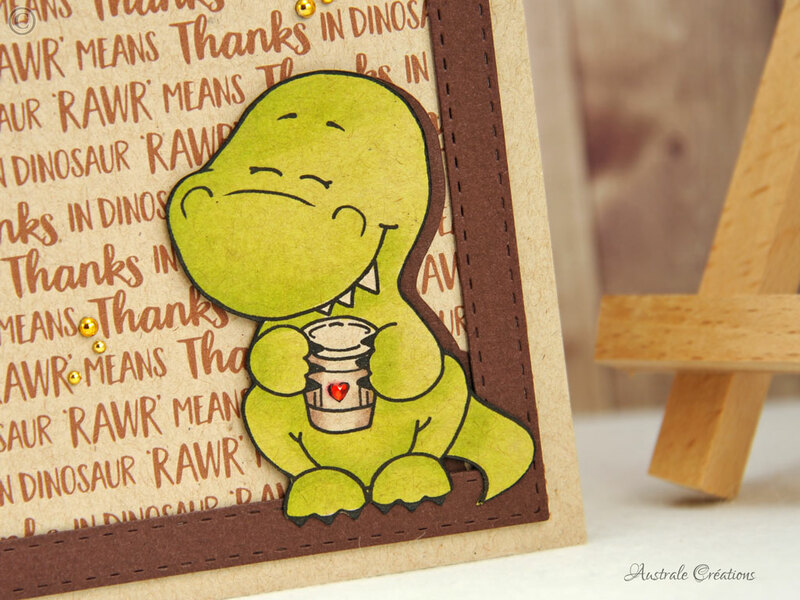 You can also get matching dies that coordinate with this set -- making creating super easy! Since the stamp is stamped with Black ink, we want to add some W7 into the main, this will add much more definition to your coloring and really creating hair like texture. 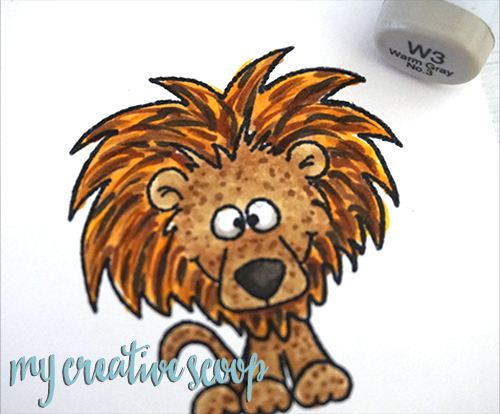 I added some W3 to the bottom of the eyes giving them a little shadow will give them more dimension and appear more 3d like. 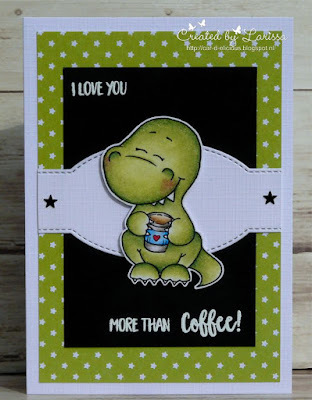 I'm 32 years old. 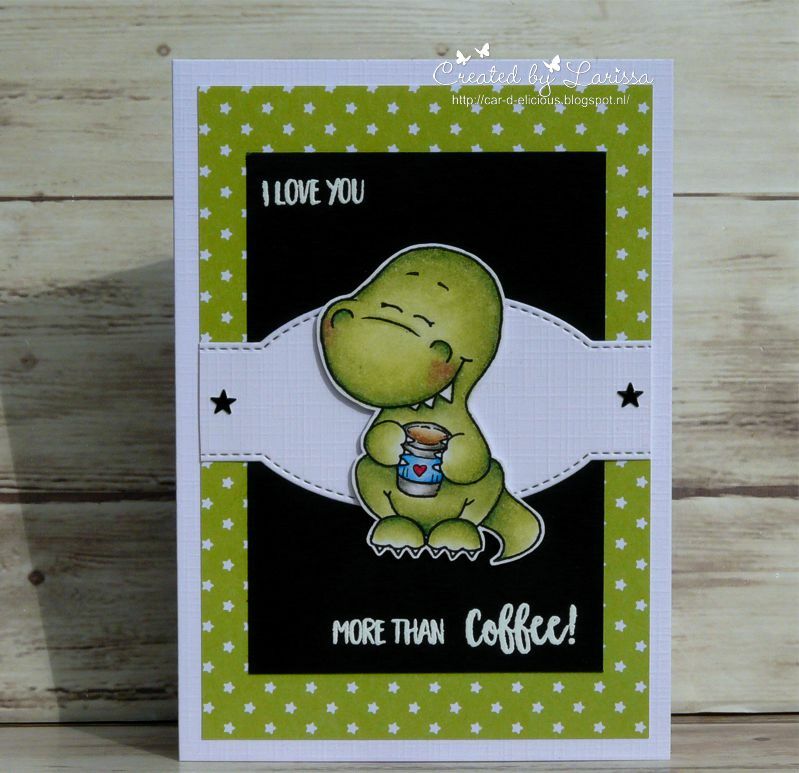 Full time mother of 3. I'm a part-time waitress at Denny's. 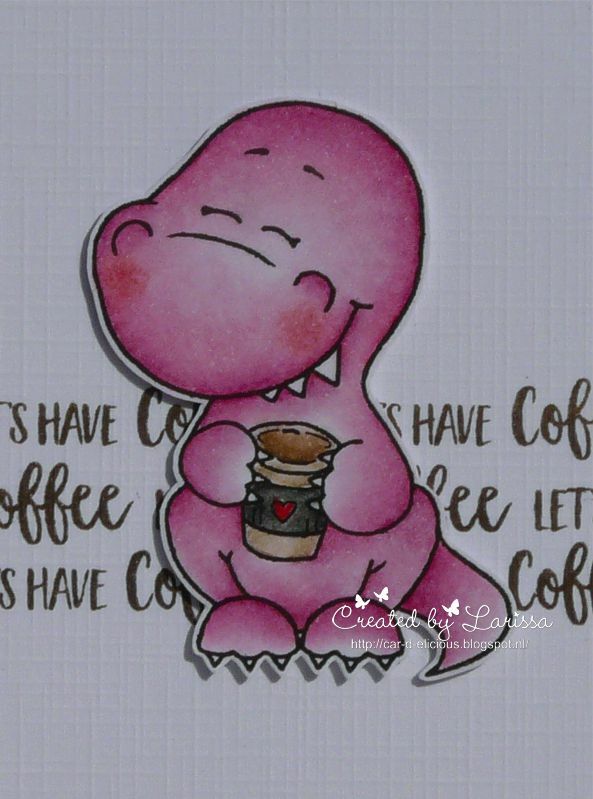 I also work in an office/warehouse part-time. 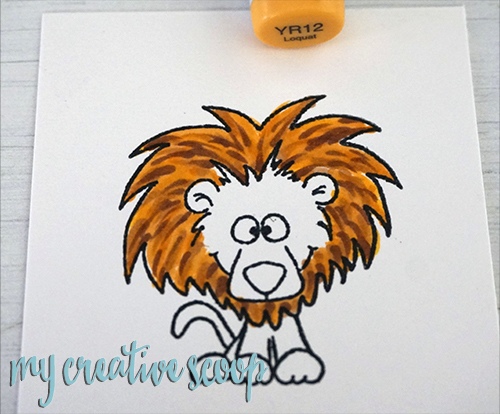 I teach Copic Classes at Local Scrapbook Stores in Southern California. 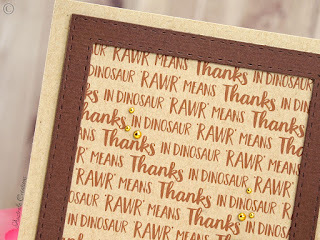 I also do Graphic Designing. 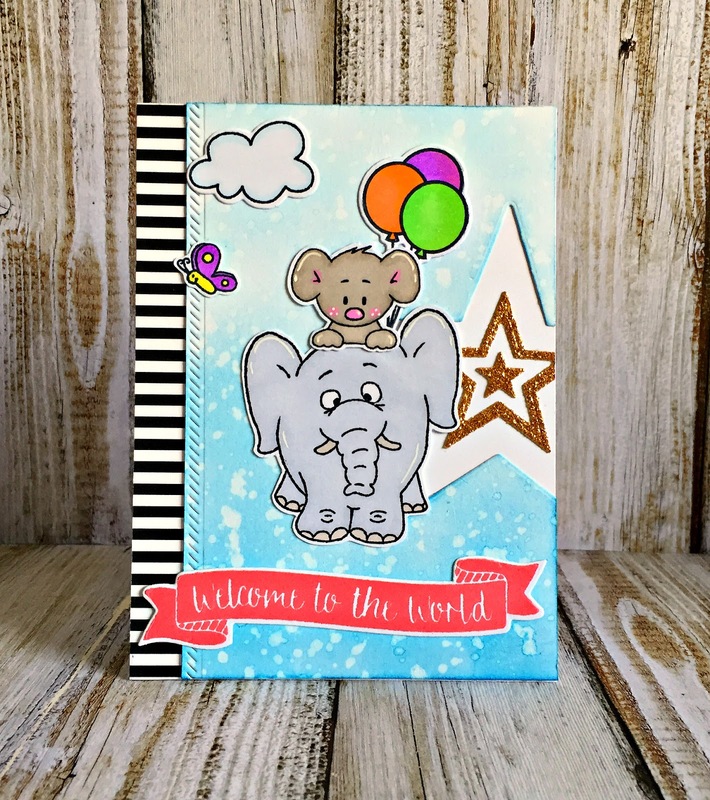 I love to Color, Scrapbook and just starting Mixed Media!